I'm getting daily requests for gift and gadget recommendations, so these are some of my top picks this year. I'm skipping the usual household wares and kid stuff, hoping to uncover some truly undiscovered ideas that will make anyone freak out with joy. Here's my favorite gift ideas for 2017, from $4.99 to $499 there's something for every geek. FYI some links are Amazon affiliated and I may recieve a commission. 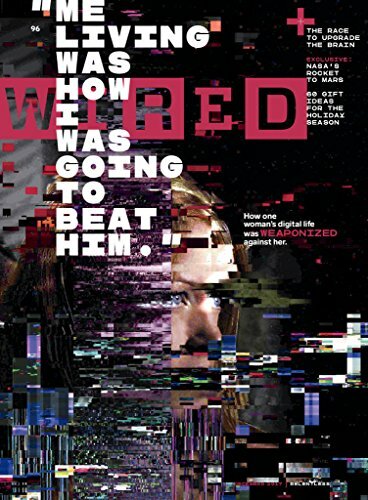 $4 – It's geeky, it's cool, it's smart, it's dang cheap, and it's gorgeous – Wired has been my favorite magazine and blog for years, and with its perfect blend of tech/science/internet culture/entertainment, it's the gift that keeps on givin'. Plus each issue has a feature story usually involving a daring crime gone wrong, whether it's hackers, engineers or a diamond heist. Above all, their iPad app is free with your subscription, and it's the absolute best digital magazine out there. 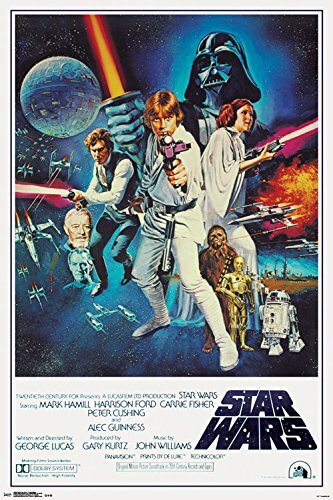 $5-20 – Few souls are unsatisfied with a big colorful poster of their favorite movie or show, especially Star Wars. And since NO ONE EVER GIFTS POSTERS, it's extra fun to surprise them with this. They're cheap! Consider it a long, rolled-up stocking stuffer. You can order them framed, or buy a basic frame at Ikea or Joann to dress it up. 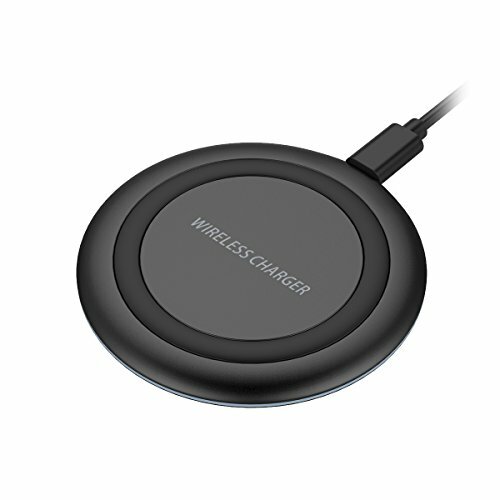 If your peeps have recently upgraded to the latest iPhone 8, 8 Plus or X (or Samsung stuff) they can enjoy wireless charging – and they probably don't have the charger itself. I recommend the inexpensive disk kind, or a fancier standing style – for the desk, nightstand, kitchen or couch. Just be aware that some ship without an "A/C adapter", only a USB cable, so you'll need a 'cube' to plug this into the wall. 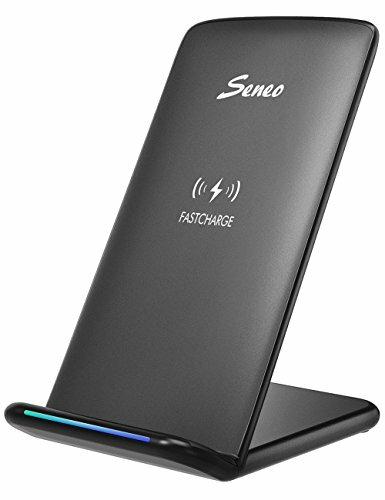 And some offer "fast charging" at 7.5W or greater, instead of the typical 5W. The universal standard for iPhone and Samsung products is Qi, so anything "Qi compatible" will work, including a whole line of Ikea furniture with charging built-in. 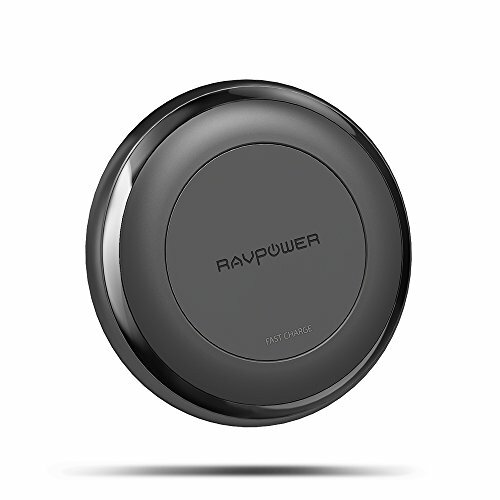 Wireless charging may seem like a bizarre luxury, but it's a welcome convenience that you'll never go back from. Subscription – This is simply too good to be true. It feels like cheating. But I assure you, MoviePass is 100% magical and legal. For $9.95/month (gift options available in 3, 6 or 12 months) and no contract, this little app lets you see any movie in any theater every day! It only works for standard 2D showtimes, and day-of. But a movie EVERY DAY! I've seen 10 movies in my first two months. Sign up ASAP, because they mail you a special debit card – which syncs with the app to purchase your tickets. It's amazing! By next year, MoviePass will be like Netflix... everyone has it, and everyone is binging to their hearts' content. UPDATE: announced today, Costco is offering a killer deal for a limited time! $90/year for MoviePass AND Fandor... which makes this insane deal even more bonkers. 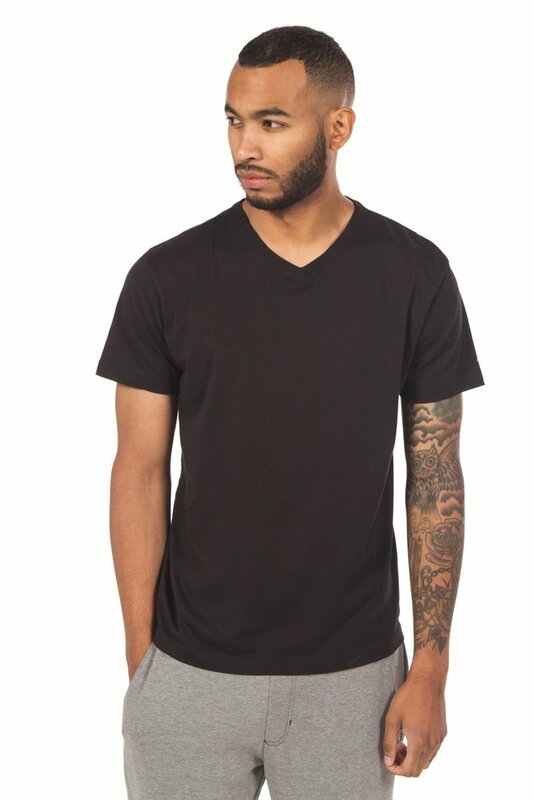 $48 – This product deserves a full blog post on its own... it's the perfect daily tee. I've worn my Ably Apparel V-Neck for 19 work/travel days without washing it, and it still looks (and more importantly, SMELLS) brand new. It's a modern marvel. The fabric is embued with mystical properties that make it waterproof, stainproof, odor proof. And it's the perfect tee for running around filming or traveling all day. Just watch their Instagram spill tests to get the gist. As a challenge, this was the ONLY SHIRT I packed on my recent productions in Arizona, Sacramento, Wisconsin, Florida, New Jersey and New York – I wore it every single day, and it was fabulous. PROMO CODE: HOLIDAY20 for 20% off, and free 3-day US shipping until noon 12/19. $10-50 – In the past year, I've been part of super sweet fundraisers for kids in need, selling fun products that directly benefit a family. First, I illustrated a children's book "Scarlet and the Do-Good Dragons" for Scarlet Sharp, a then 4 year-old with brain cancer. It's available in e-book, soft and hard cover, and gives me all the feelz. And next for Gabe Howard, who needed a service dog and found the perfect match with Stella the black lab. We designed a whole line of cute "Stella & Gabe" products for the boy, his dog, and autism awareness. Tees, hoodies, pillows, stickers, mugs – and a book. Two heavenly kids, two expensive problems to solve – so I hope these small shops can make a difference. Of course, 100% of the profit goes to the families. And there's lots of other great gifts that give back, a meaningful twist on standard shopping. $90-180 – In case you missed 47 million Facebook ads, there's a fabulous new series of online courses called Masterclass which gives you a streaming lecture by world-famous artists and personalities. Comedy by Steve Martin. Tennis by Serena Williams. Singing by Christina Aguilera. Filmmaking by Martin Scorsese. And those aren't even the best ones. It's $90 for one class, $180 for a year, or gift cards in any amount. If you know ANYONE who wants to get a cool lesson on ANYTHING, this is a thrill and far, far cheaper than tuition at USC. $160 – I was on the fence about these little things, but they quickly became part of my daily routine, always within reach. AirPods are Apple's wireless earbud headphones, for music and phone calls. 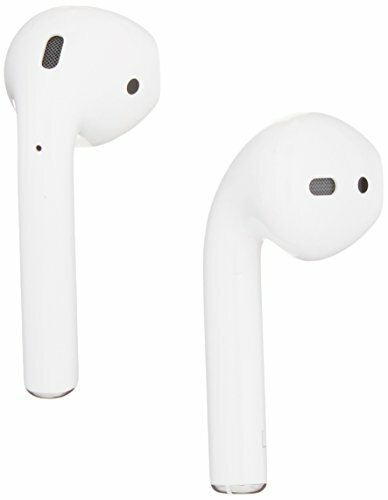 They have a perfect design and form factor (assuming you like the fit of Apple's standard white headphones, EarPods), including a battery inside the case which charges them. The real magic is how intelligent and dead-simple they are to use: easy to pair; double-tap them for Siri; auto-pause when you remove them; easy switching between iPhone/iPad/Mac; portable and long-lasting; surprisingly good audio quality. When you open the case, your iPhone automatically shows you the battery level of the case itself, and each individual earbud. It's a fantastic experience. 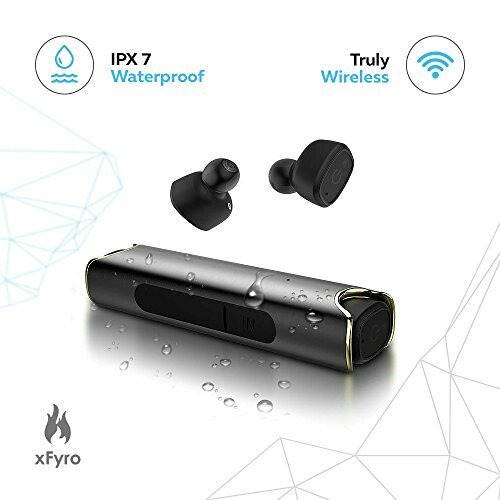 The price is typical for this level of technology (other brands are more expensive, for once), but this cheaper xFyro option below has good reviews too. $500-700 – Two great 360º cameras were released this quarter, making it much easier to create videos in this new wild format, and with much better image quality too. For newcomers, 360º video is everywhere now, even YouTube, and is best watched with a VR headset so it completely surrounds you. 360º cameras have at least two lenses (usually front-and-back) and software to stitch the two halves together. These two new cameras are far superior to the previous offerings by Samsung and Ricoh. 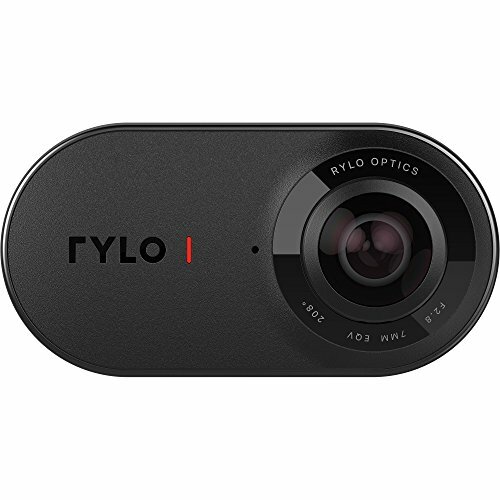 First, we have Rylo, the debut hardware product from the team behind Hyperlapse. It's got a slick design, lovely image and really buttery stabilization (their specialty). At $499, it's perfectly priced and will be ahead of the pack for at least a year. GoPro's Fusion is available now too for $699. It's a little larger than a typical GoPro, but offers all the reliability of the brand and top-level specs like 5K. Their secret sauce is software tricks to give your footage magic powers like a 'tiny planet' effect or unlimited panning within the footage. You gotta watch the teaser to sense the possibilities. Happy shopping, and let us know how it goes!